Puncher has been around horses his entire life. As he would tell it, when he was young horses were his baby sitter. After returning from service in 1953, Puncher rented a field and built a corral to break horses for local ranchers. 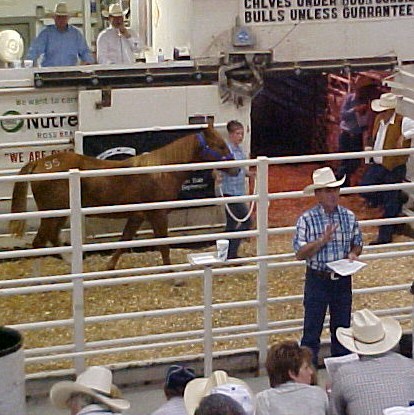 In 1961 Puncher began helping Russell Klotz, a retired farmer with his horse sale until 1981 when Puncher took over the sale. Many of Cooper's horses have done well as race and showmanship animals. Including one winning the barrel racing competition in the World Quarter Horse Show. However, Cooper Quarter Horses have been primarily bred for ranch work and covering rough terrain such as the rocky Flint Hills.Puncher would use old-time remedies when training and healing his horses. Many of these remedies have not been used for over fifty years. Puncher would explain that his horses learned to survive rocky conditions by being able to run through the trechorous Flint Hills. The colts learn to step between the rocks. Cooper's horses were and still are trained with patience and toughness. Puncher always made sure to explain what each colt would be like when they were older so that the horse could be placed with a owner that fit them. 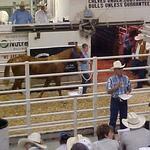 Highlights and deficiencies about each horse were always made clear to the buyer. Puncher passed his techniques and traditions to his children and grandchildren who have helped run the sale for many years. Janet Cannon (Cooper) and Larry Cannon continue to run the sale in Puncher's memory every year on the last Sunday in September. E.V. "Puncher" Cooper was born Nov. 15 1931 at his family's home near Saffordville, KS. He had three brothers and a sister. Puncher grew up around horses and learned much of his knowledge from his father Elmer Cooper, a Flint Hills cowboy. Puncher used horses almost everyday of his life. He owned his first horse when he was two and broke his first when he was seven. He attended Toledo Township High School and graduated in 1950. Then he married Florence Jeannine North on May 24, 1953 at Saffordville Methodist Church. He was a member of the American Quarter Horse Association, Saffordville United Methodist church, a volunteered for the Saffordville Rural Fire Department and a 4-H project leader. 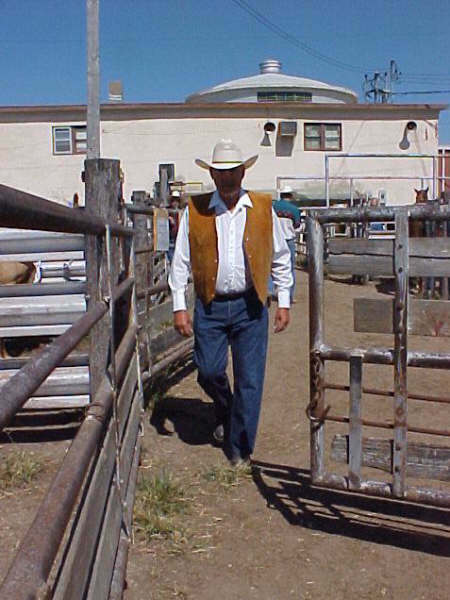 Puncher was a farmer and rancher, training and breeding horses for more than 50 years. He worked with his father-in-law, Stanley North, at the North Grain Co from 1955 until the business closed. Puncher was trained as a commercial agricultural applier of fertilizers and herbicides. Puncher was the first Kansan to participate in a National High School Rodeo. He participated in the first two National High School Rodeos and many amateur rodeos. He passed his love of horses and rodeos on to his children, Nancy Holland, Wanda Macy, Lu-Beth Whitaker, Janet Cannon, and James Cooper. Puncher had the philosophy that if you give a child a horse, you give them the opportunity to learn, love and know how to work hard. He was deeply committed to his community and neighbors, he made himself available to anyone in the neighborhood who was in need. He put himself last and always said “if you take care of your neighbors, they will take care of you.” On January 27, 2006 Puncher died while taking care of the horses he loved near his home in Staffordville, KS. He was 74 years old. Since Puncher's death the family has continued the horse sale and his value of selling the best quality horses.